Claudia Mollzahn myndlistakona frá Þýskalandi sýnir í Deiglunni! Claudia er gestalistam aður mánaðarins í gestavinnustofu Gilfélagsins. Hún sýnir þau verk sem hún hefur verið að vinna að á tímabilinu. Hún vinnur m.a. með textil innsetningar og gjörninga.Claudia er búsett í Wales í Englandi. Claudia Mollzahn was brought up in Germany and now lives in Wales, UK. 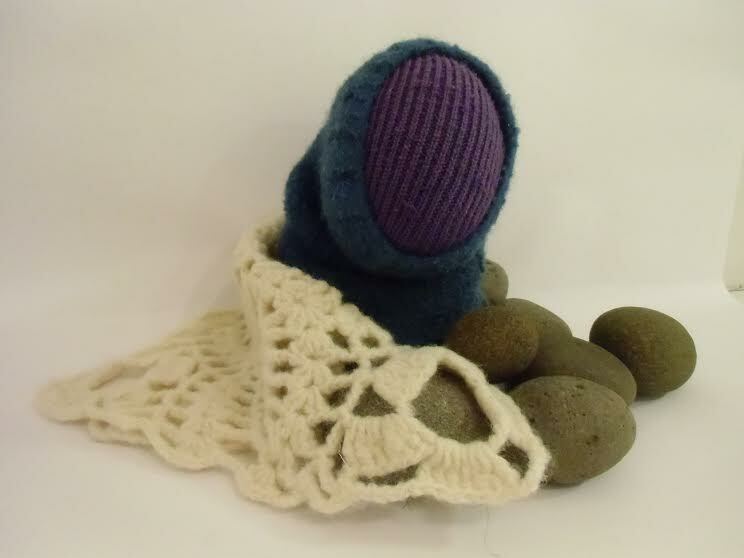 She works mainly with wool and uses traditional craft techniques such as knit, crochet and felt. She is interested in the physical qualities of the materials she uses, and creates work that can be experienced with all the senses. Visitors are encouraged to handle, wear and move with the pieces. The aim is to create a sense of playfulness while at the same time universal concepts relating to place, home and identity can be explored. For the first time a story will accompany each piece, with the invitation to create alternative narratives. Work shown in this exhibition has been created during her one- month residency in February 2016 at the Gil Society, Akureyri, Iceland.